Coolestmommy's Coolest Thoughts: Tornados, Hurricanes and Earthquakes--Oh My! 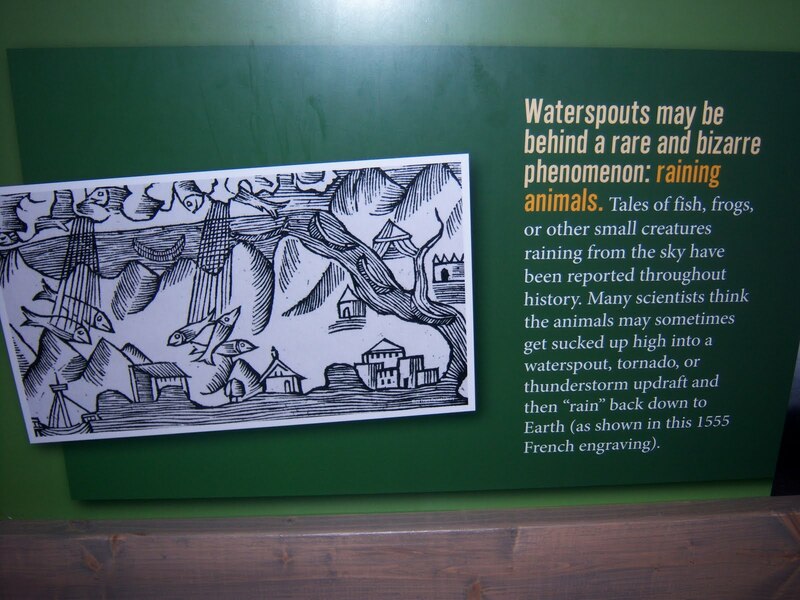 Tornados, Hurricanes and Earthquakes--Oh My! 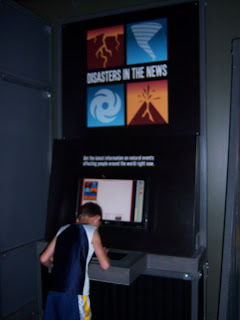 Andrew's one request for the summer was to see the Natural Weather Disasters exhibit at a local museum. We kept meaning to 'get around to it' and then I saw that a nationally known storm chaser and meteorologist was speaking at the museum. We hustled and got a membership so he could go with his dad. They had a lot of fun learning about tornado chasing and some of the science of storms. 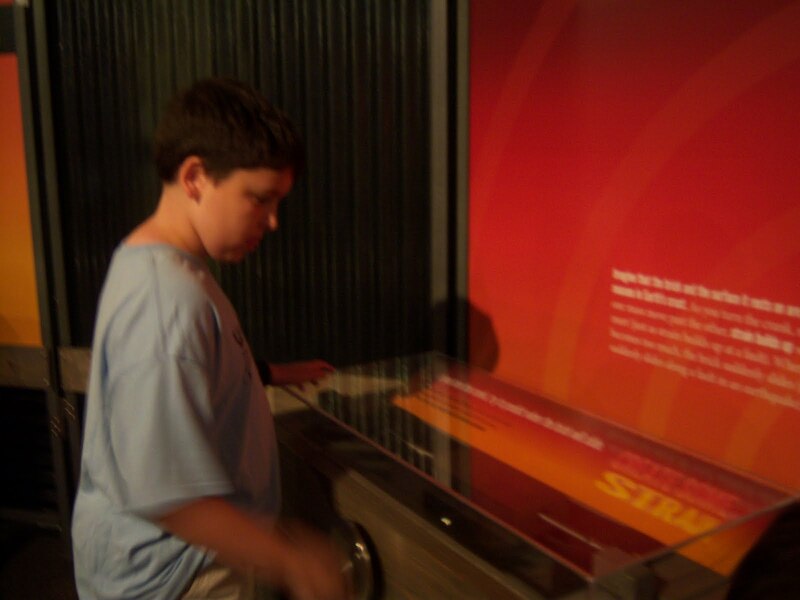 When we went with the family, we actually got to see the exhibit. 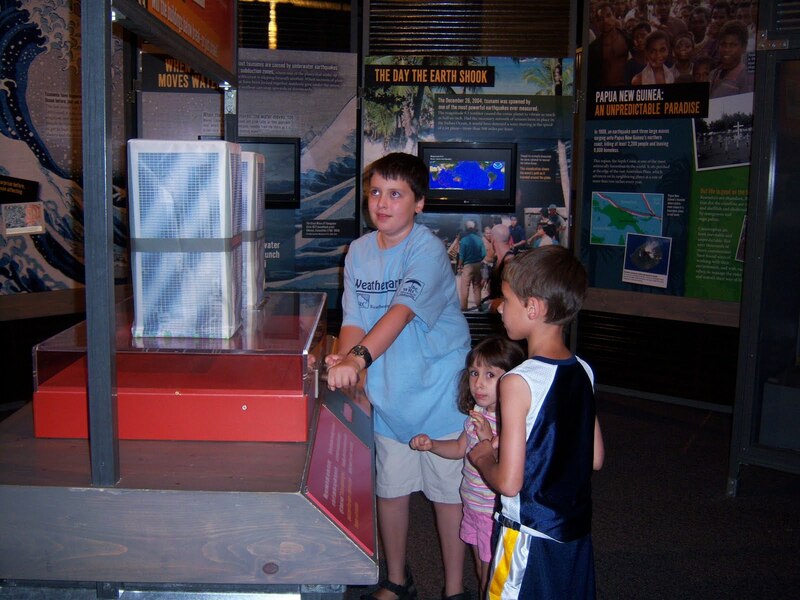 Here Andrew is explaining to Rebekah and Nathan how buildings survive in an earthquake. There were lots of hands on activities and even a 360 view of a tornado coming and going through where the camera was anchored. It was incredible to see the power of these storms. Here Andrew learns why we never know when the pressure between the plates will create an earthquake. Nathan & Rebekah loved this experiment. 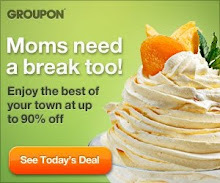 You got to jump and make an earthquake. You know the phrase "Raining Cats & Dogs"? 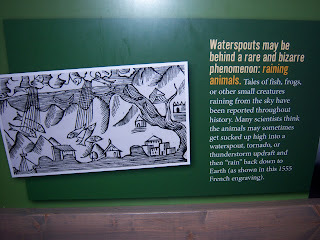 Well this shows how a waterspout can actually cause it to 'rain' fish and frogs. Sometimes truth is stranger than fiction. After visiting some other exhibits, we had a snack at the old fashioned soda shop. We got some popcorn and tootsie rolls to hold us until lunchtime. 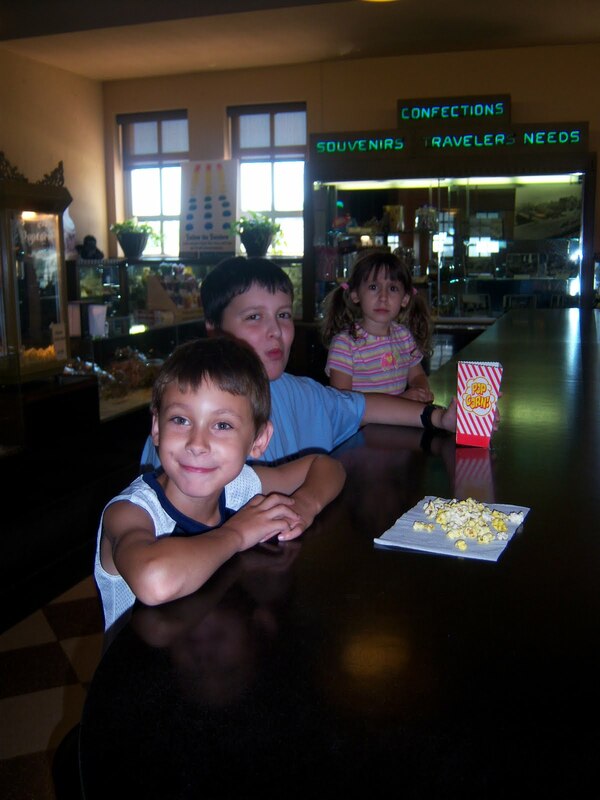 The kids had fun sitting on the stools at the counter and we got to watch a soda jerk make a couple old fashioned sodas. A fun time and we look forward to heading back again before the exhibit moves on.